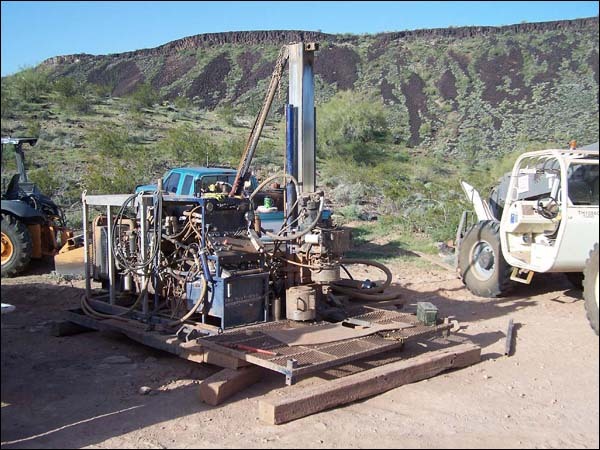 Our Discovery 2 drill rig provides reverse-circulation performance. It is capable of returning 50% to nearly 100% of the sample through center return using a face-sampling bit hammer combination. It operates with working angle holes of 45º to 90º. It can also be reconfigured onsite to perform core drilling without having to move off the drill hole. 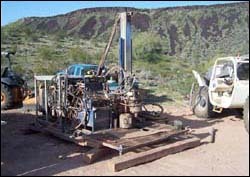 The drill rig is currently configured on tracks to move into small places leaving a small foot-print at the drill site. It can be mounted on a truck or skid and is also configurable as a fly-away rig. Our reverse-circulation rig uses an Ingersoll-Rand 900/300 air compressor to lift the cuttings out of the hole into the cyclone and splitter. For more information on our reverse-circulation capabilities and configuration options, please contact us. Brown Drilling has full crews available with over 43 years of core drilling experience and have been in the drilling industry since 1974. We are licensed, bonded and insured. 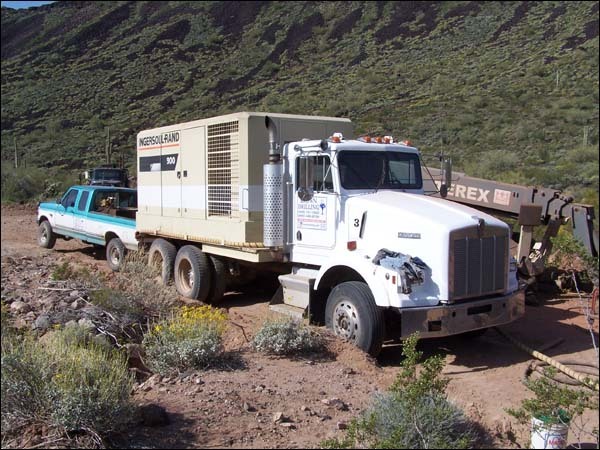 We currently provide diamond core and exploration drilling services in Arizona, Colorado, Nevada, New Mexico and Utah. If you are interested in drilling services in these locations or another location, please contact Jon Kaufman at (928) 757-1920 or via email at jon@browndrilling.com.